I’ve never been a great fan of Spring. Living in the South, I knew all too well that it would last a few weeks, and then we’d be mired in Summer for what seemed like years. Since our move last fall to New York, though, it seems I’ve had a change of heart. I am actually excited about Spring! I stop on the streets and in the parks to take pictures of flowers and blooming trees. I have happily put away my scarves and boots until cooler weather. Preheat oven to 350°. Lightly grease/spray 2 (or 3) 9-inch round cake pans. Combine cake mix and gelatin in a large bowl. Using an electric mixer on medium speed, beat in pureed strawberries, eggs, oils, and water until smooth. Pour batter into pans, dividing the batter equally between them. Bake 25-30 minutes, until a wooden pick inserted in the middle comes out clean. 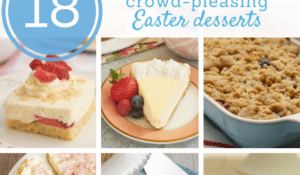 With an electric mixer, beat butter and cream cheese at medium speed until creamy. Beat in strawberries. 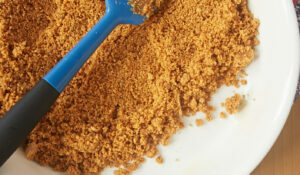 Gradually add confectioners’ sugar and beat until smooth. Spread frosting on cake, covering between layers, on top, and on the sides. Garnish with fresh strawberries. I literally gasped when I saw these photos — this looks AMAZING. My birthday is coming up and I will definitely be having this cake, whether someone bakes it for me or I end up baking it for myself. I am thoroughly enjoying spring, and nothing says spring like strawberries. Your cake is beautiful. This is bursting with berries and spring. Perfect! What a beautiful cake…Sometimes the simplest dish is the best! Great photography! I’ve seen this cake recipe around and always been curious about it. Like you, I don’t turn up my nose at recipes that begin with a mix. 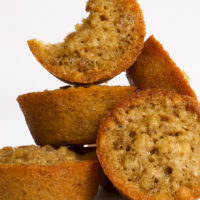 They’re often more reliable than cakes made from scratch, especially for beginning bakers. Wondering if using less of the jello, would help to make it less sweet. May give it a try since, while I love cake, I’m not a big fan of overly sweet ones. It’s not the cake that’s so sweet it’s the frosting ! 6 cups of sugar ! Whaaaa ! I made it twice and added more cream cheese and strawberries ! Then it was to thin so I add whipping cream ! And it was much better ! I simply love strawberry cake with cream cheese frosting. This cake looks so delicious! 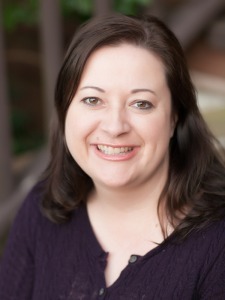 I am really enjoying your blog. Everything you bake looks amazing. This recipe looks so good. I love strawberries and the color pink. I’ll have to try this for sure. Can I have a piece. My girlfriend loves strawberries & loves cake. I am sure she’d love this… Heck I’d probably like this and I am more of a pie person. …my first comment didn’t go through due to an error? Spring is very important up north. Only the most fervent of winter lovers do not anticipate and celebrate the advent of spring once it finally comes! The cake looks delicious! I tried this recipe for mothers day. I definitely got a really great, sweet, strawberry flavor, but i also had an overwhelming canola oil flavor as well. Is there a substitute for the oil? Made this cake last week. It came out perfect. Moist and not too sweet (I used frozen strawberries frozen without sugar). That is a beautiful cake. I have never attempted a strawberry cake before, but it is definitely something to consider. Most of the time I am too busy with chocolate cakes! Very pink, love it! 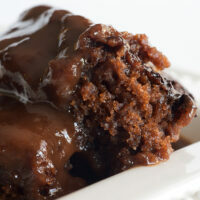 Looks so moist I want to try this recipe now! I’m from WI so I absolutly love the spring time but I have ventured to New York in summertime and as much fun as I had, boy was it hot! Very nice pictures! this looks amazing thanks so much for sharing! love to eat strawberries. I try to made it few days back but i was failed to bake because i am very poor in baking,but now my mom is going to bake it and now will definitely be great. Am I losing my eyesight or is there no baking temp listed in the recipe??? Oops. It was kind of there, but my HTML was not quite right. It’s there now. Thanks, amandalee! I want to eat everything on your blog!!! Oh my goodness gracious! I should never have looked at the picture of this cake… now I have an intense desire to go preheat my oven, get my stand mixer out! Yummee! My mother baked a very similar cake for my tenth birthday and I still remember how tasty it was. I’m looking forward to baking it for myself following your recipe. What a perfect May dessert! I like a dense cake. Did this turn out dense? Thank YOU!! This looks really delicious. Yummy. I just loved your recipe. Keep it up, keep sharing amazing recipes. I have some amazing recipes too. For sure you will love it. Wish you will check it. :-] Have a good day guys. I have had a strawberry cake for my birthday every year since I can remember! I made a cake very similar to this once. It used frozen pureed strawberries and strawberry jello mix, but the rest of the recipe was from scratch. It was extremely moist and also one of the most dense cakes I had ever had. This year, I will have to try this one! It looks delicious! my aunt made this cake for me last week….Paula Deen recipe…same one I see.. This looks like a wonderful strawberry cake. The cream cheese frosting sounds like a perfect topping. I’ve been making this cake for years, just a different frosting. Clean at least a pint of strawberries and chop then in the food processor or mash with a potato masher, and then mix with 1 box of powdered sugar and 1 8 oz pkg of cream cheese. This frosting will be soupy. I serve the cake in a bowl and poor the “frosting” over the cake. Always a family favorite!! That looks delish. I could tuck into a slice of that right now. Looking forward to having a nose around for more ideas and recipes. Lovely blog. I only found your blog recently and I love it. I no longer need a recipe box, just a bookmark! to taste it on a hot summer’s day! 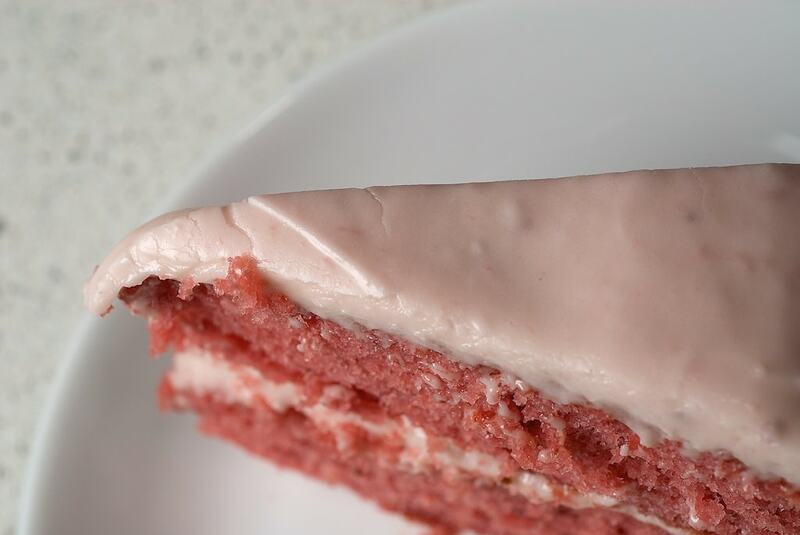 a close friend of the family used to bake a strawberry cake with luscious strawberry frosting on it when she and her family would come to visit in the summertime. seeing this recipe made me think back to that and makes me want to bake it for a friend! Spring in the Northeast is very nice. You will like the change of seasons. I believe this is, if not exactly, a Paula Deen recipe. It’s delicious and my daughter’s go-to birthday cake. What’s more southern than a mile-high super sweet moist cake? LOL. Wow, this looks absolutely delicious! Love the color- it would be so perfect to make for a birthday party for a little girl. This is a family favorite for us! Every birthday includes this. We make it in a rectangle glass dish and add icing that’s just butter, powder sugar and more strawberries. Totally melts in your mouth! This cake brings back such good memories of my four year old self watching my mom ice a strawberry cake. I always loved the color,(and the taste)! 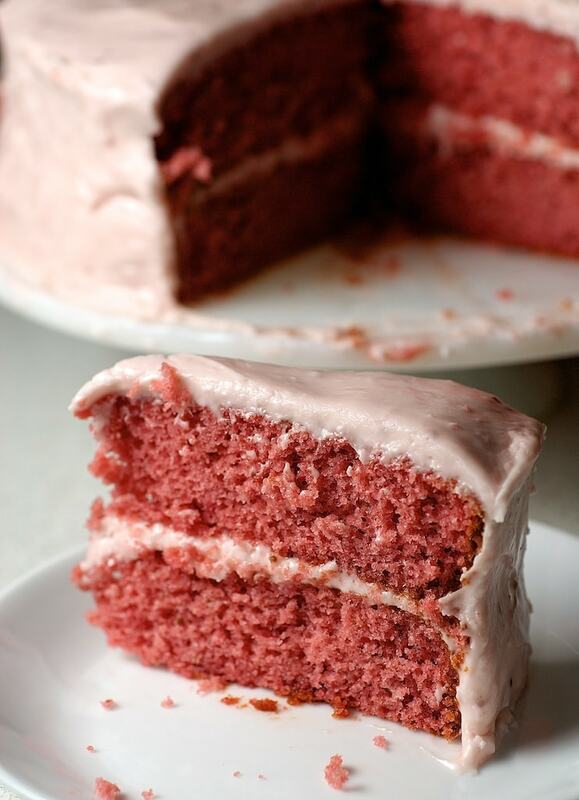 I’ve been looking for a recipes for strawberry cake that is actually PINK. This one looks just divine! Wow! The pinkness of this instantly drew me in. And the cream cheese frosting of course. This cake looks delicious! 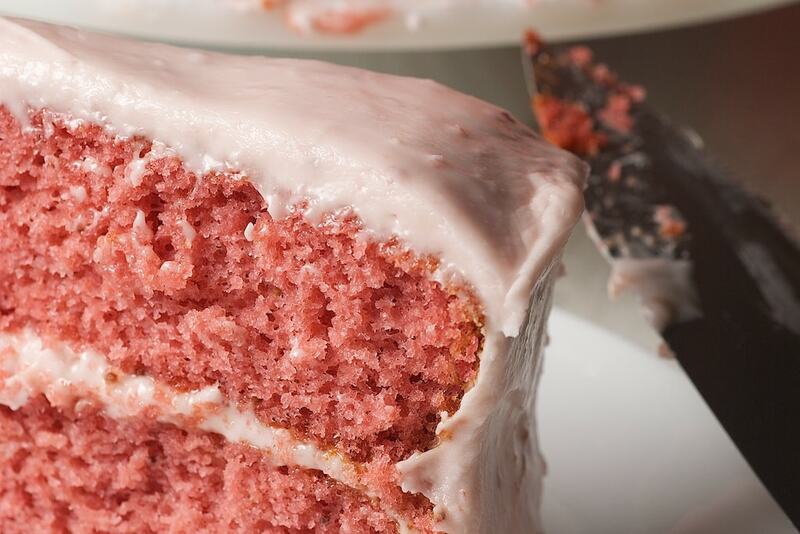 Everything about it draws me in, the texture, how pink it is, the frosting. It just has a “take a bite out of me” look to it. 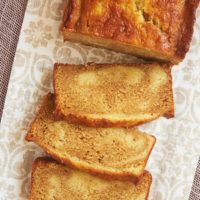 This cake recipe would be a good idea for a nice Spring/Summer day when fruit season begins! Will give this one a try for sure. Hi, Amanda. You can use 8-inch pans, but you might not be able to use all of the batter if they’re too full. A 9″x13″ should work fine. How long would you bake the 9 x 13 cake? Hi, Teresa. The time shouldn’t really vary, as the thickness will be about the same. I’d check for doneness after the suggested time. This cake sounds so good! 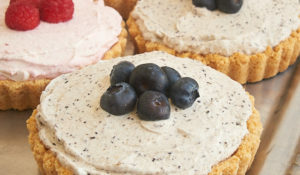 Can you make cup cakes from this recipe? 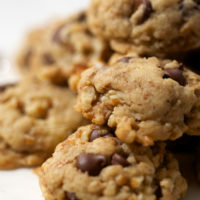 This recipe is absolutely fantastic,thank you so much for sharing it! 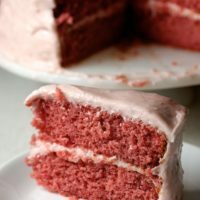 I was filled with a crazy urge to bake something pink when I stumbled upon this recipe during my subsequent recipe-hunt. I baked it for my sister’s birthday and she [a chocaholic of the highest order] was quite taken with it. I also made a batch of cupcakes using left-over batter and icing[sprinkling white chocolate chips on them]. This is an extraordinarily simple,nearly fail-proof recipe.Very effortlessly pretty ,too. Hi, Sandy. If you didn’t make any changes to the recipe, my guess is that your butter is too soft. Happy birthday to your mom! I made ths last night and it was fantastic! I would make ths again without provocation. Everyone raved and the frosting was perfect. Thanks for your blog. I get the best compliments when I make something from your recipes. 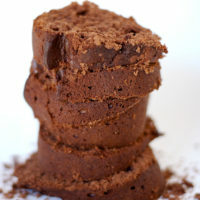 (Those peanut butter chocolate chip brownies are beyond awesome.) I look forward to more baking soon. This is a delicious cake, it always turns out the same every time. FYI, this is the exact recipe for Paula Deen’s Strawberry Cake. Just so you know where it originates from. Enjoy. I’m new to baking cake. May I ask what is the use of using gelatin in a baked cake? I thought it is only to make non-bake cheesecake or jello that you needed gelatin?? Thank you for all your recipes, I’m picking up bits of knowledge here and there! The gelatin adds flavor (as it’s strawberry-flavored) and gives the cake a bit more structure. Sorry, more questions, I’ve noticed that you tends to use the UNSALTED BUTTER + SUGAR combination for your cake frosting… may I ask how do you store your cake? I live in a warm/hot climate country and I don’t think the butter would hold it as nicely as it should. I’d refrigerate the cake after it’s frosted, especially if you aren’t serving it immediately.. Then, you can either serve it chilled or let it stand at room temperature for 20-30 minutes before serving. Do all 10 oz of frozen strawberries, pureed, go in the cake? Do you drain the strawberries before they are pureed? Do you use a blender on puree speed? There are 15 ounces of pureed strawberries in the cake and 3 ounces in the frosting. I didn’t drain them. A blender should work just fine. Enjoy! Can you use sugar free jello?? Hi, Lynette. I’ve not used sugar-free gelatin in this recipe, but I think it should be fine. Do you think it would work if I doubled the recipe for a 10 inch round pan? 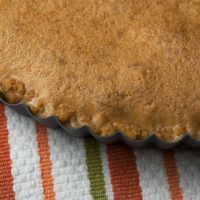 Would I need to bake it longer? Are you wanting to make a single layer 10-inch round? If so, you’d likely only need about half of the cake batter and frosting. If you’re going for 2 layers, I wouldn’t alter the recipe. You’ll just have thinner layers, which will likely bake a few minutes faster. I made this cake for my boyfriend’s birthday. I’m usually not much of a baker so I rarely make cakes from scratch. I wanted to change it up a bit this year so I went to Google. I came across this recipe and decided to give it a try. It turned out great. It turned out looking just like the pictures. Easily the prettiest cake I’ve ever baked and tasted wonderful. I’ll definitely be making this again. Hi, Jesse! I’m so glad you enjoyed the cake. It’s so pretty, isn’t it? Love the color! I need to make this cake for my sons birthday ,I can’t find cake mix in that big of a box, will I need to alter the recipe ? My box is 16 instead of 18,also can you freeze it after making , I’m having surgery on fab 24th but my sons birthday is in March, I wanted to make it ahead of time and freeze, do you think this will work? Hi, Bonnie. Most cake mix brands have changed their sizes in the last few years. Thanks to a tip from Cake Mix Doctor, I’ve added 6 tablespoons of flour to the mix with good results. You can freeze the cake layers, but I wouldn’t recommend freezing the frosting. Can you make the day before you are serving? Sure! I’d recommend refrigerating it to keep the frosting from getting too warm.